At Deconstruction Pro we provide a wide variety of services for all of our customers. 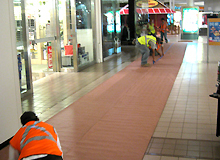 We also provide retail demolition services to commercial retail customers. If you are a project manager that manages a Mall or other retail location do not hesitate to give us a call and schedule our special services. We have a work crew that specializes in Retail and Commercial demolition services. Our crew works around the clock to get your demolition services completed. 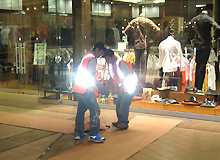 We have a Night Crew that can work overnight to keep your customers and retail locations happy and on-obstructed from any demolition they might have to see while the job gets done. At Deconstruction Pro we like to provide every service available to our customers. With our night crew we are able to extend the service hours that we can better serve you. This is a perfect solution for that Demolition Job you might need at a Retail location or Mall. Your customers will never know there was any type of Demolition/Construction that had happened. Our special crew will arrive at your set evening time and get ready to get the job done as soon as your closing hours are active. We have done many jobs in this manner and have been very successful in completing the task that was ordered for a nocturnal job. With our professional services and work crew no job is too small or too big.